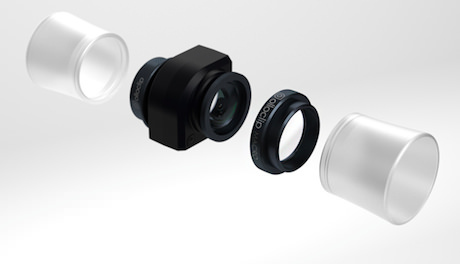 OlloClip is well known for their double sided 3 in 1 lens accessory for the iPhone 4/4s and 5/5s. The units are different between the two due to the camera on the 5/5s being slightly off center from the round of the iPhone’s outer edge. 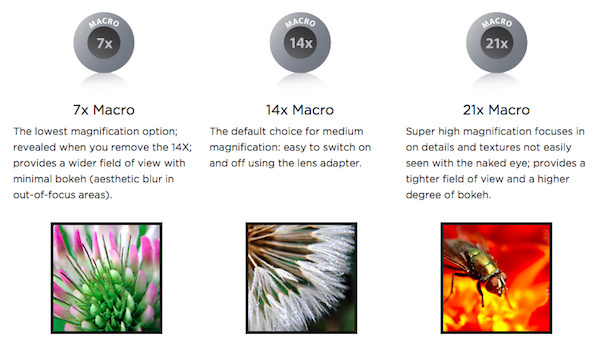 The 3 in 1 that OlloClip has been shipping has 10x multiplier Macro, Fish Eye and Wide Angle lenses. I see that there has just been the release of the same trio for the iPhone 5c now too. 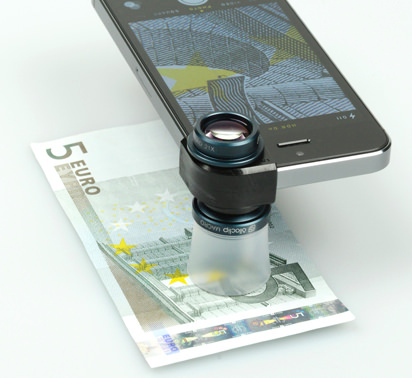 The news here is for the iPhone photographer that wants more power to do their Macro photography. Stepping beyond the 3 in 1 that OlloClip has been shipping which had one Macro lens, the new addition to the product line is a clip that contains 3 different Macro lenses! Now there is the option of 7x Macro, 14x Macro, and 21x Macro all built into one clip. Included with the clip is snap on shades to help avoid reflected light glare. Shipping is soon so when one gets here I’ll post up examples of how the world around me looks really close up.